A ghost from the past arrived in my mailbox the other day. Needless to say, I was puzzled. Montgomery Ward (or simply "Ward's") went out of business in 2001. ......to it's early-mid 20th century heyday as one of the big three chain department stores (along with Sears and JCPenney) Ward's was iconic. As both a catalog and a department store retailer. Fall/Winter 1968. 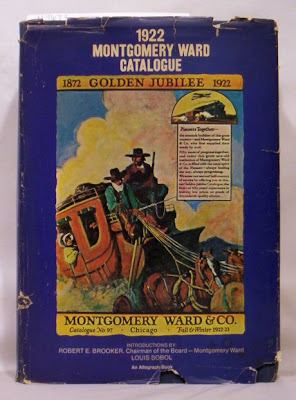 These bi-annual catalogs were HUGE and weighed nearly six pounds EACH! 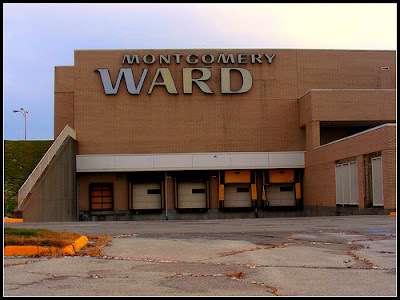 After a little investigating, I finally found the reason why after 10 years defunct, Ward's was back - The intellectual property of Montgomery Ward had been sold. The original company itself was dead for at least 10 years. 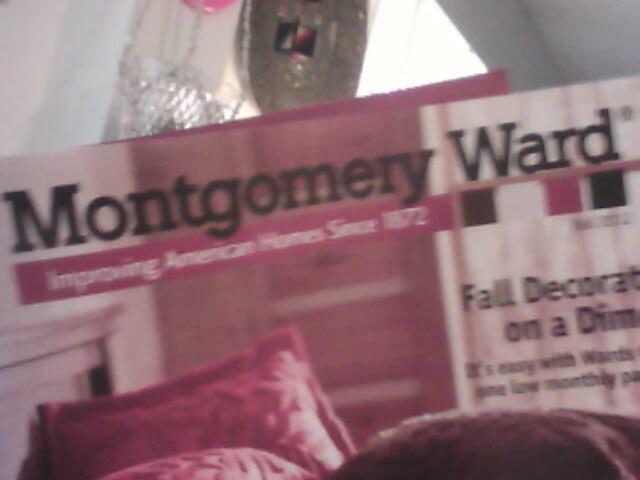 This was an entirely new operation using the still valuable name of Montgomery Ward. This new catalog, is ummm.....a heck of a lot THINNER than the bi-annual behemoth books that used to be a staple of Ward's until 1985 that I remember (well over 2,000 pages thick!) 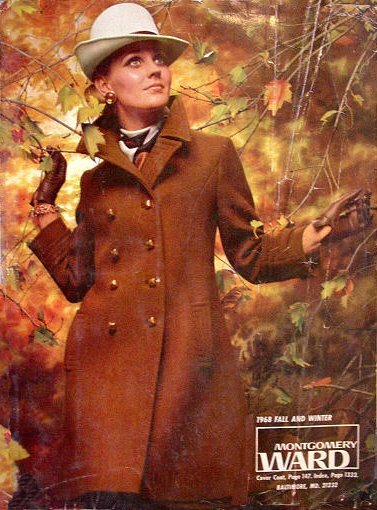 Even stranger, I also received catalogs from Seventh Avenue and Ginny's and the products in these catalogs as well as the new Montgomery Ward catalog are exactly the same. Right down to the corporate colour scheme and type fonts of the catalogs. So I'm guessing it's all just one company under several different names.